Okay, folks. I expect to see a TON of cards in the gallery this week because this word is wide open to interpretation. I went with three die cuts for my card. 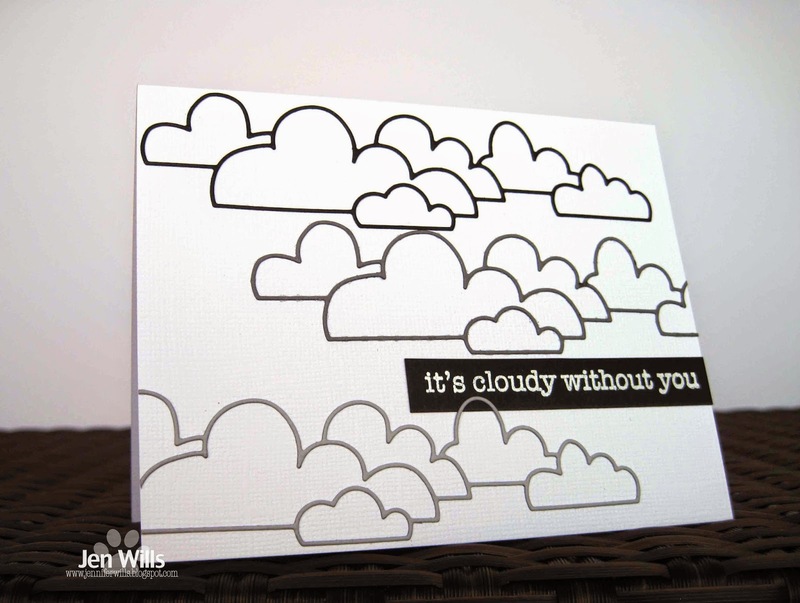 I used the Simon Says Cloud Bank die and cut it from Basic Black, Basic Grey and Smokey Slate cardstock. I staggered them, added an embossed sentiment and I was done! Head on over to the CASology page to see all the fabulous inspiration from the design team and then get crafting! Fun card. I love those cloud dies. Love that you left them empty - so graphic and fun! Fantastic design. I love how you just used the outline and made an ombre color scheme. Wonderfully done, cool open clouds!! Love a good parade die! Fabulous card [as always]! 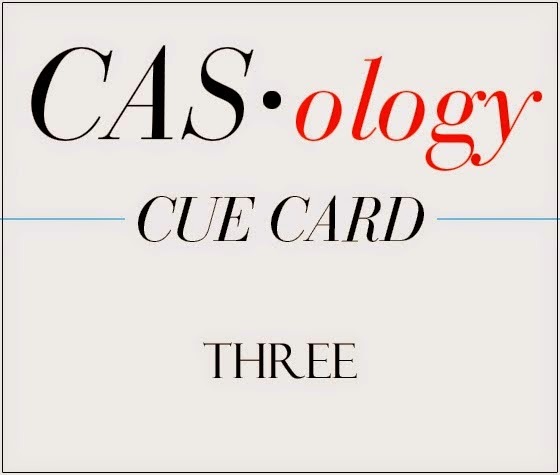 Love the CAS way you have used this die and the way you have interpreted the theme! Love the clouds!!! Such a fun card! Such a sad-sounding sentiment! But perfect for a miss you card. Love the trio of cloud banks! Jen, what a very cool trio of cloud dies...love this! I'm oohing and aweing over these clouds. I love this die and how you used it Jen. I looked at your card and thought 'where's the three' but doh, it's three die cuts, how clever, Love it!